I also took a few minutes to play and make one of my basket blocks using some of the scraps I won from Scott at Blue Nickel Studios. 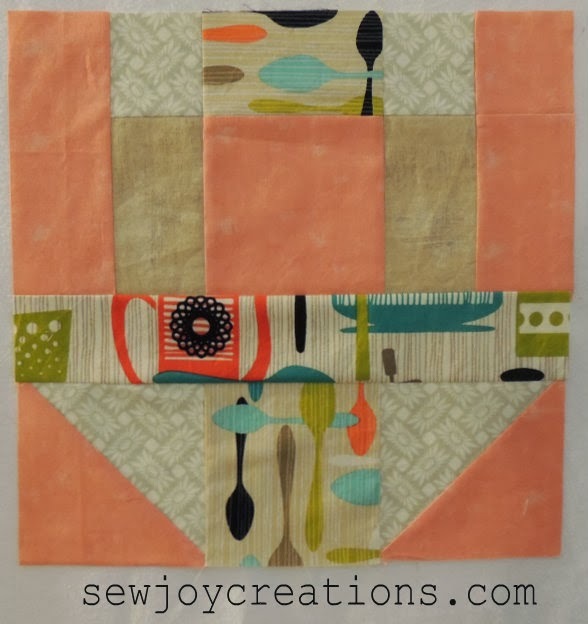 The peach background colour is from my stash - the rest was pieced from his scraps. 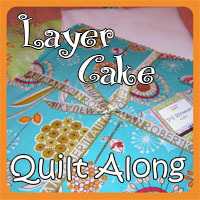 Basket Block for Layer Cake Quilt Along. I know it's over, but it's never too late to start an alphabet quilt! 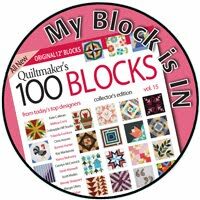 Free letter blocks from Moda designers! 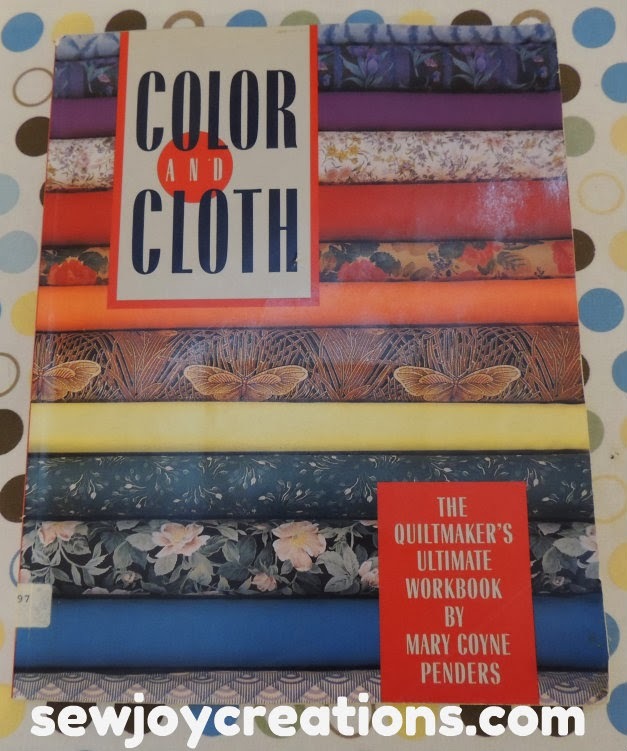 I suggest starting at Pat Sloan's blog post - from there you can follow links to all of the designers and their letters. 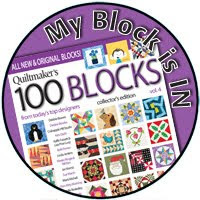 This is a mini quilt Lisa Bonegan of Primitive Gatherings Quilt Shop made using the letters! 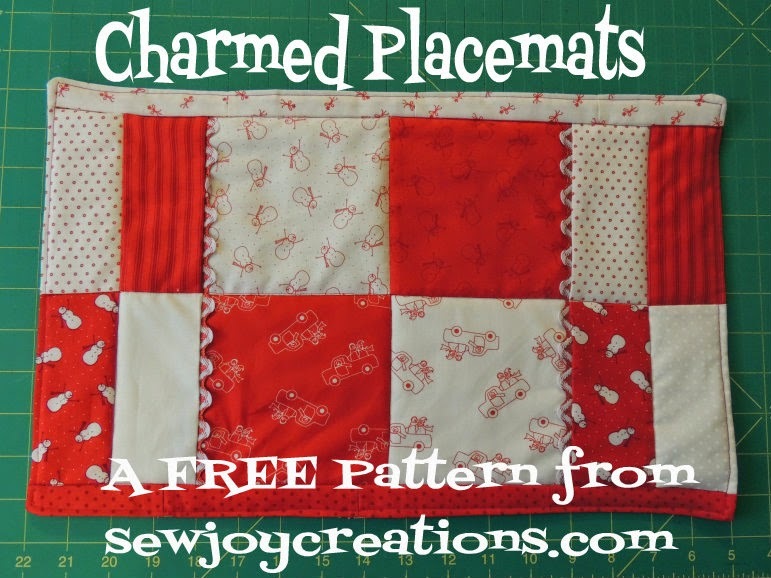 If only I had time to make one just like it! Here's a Canadian project you can support. 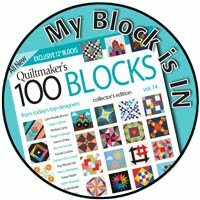 Brandy Lynn Maslowski has written a quilting story about a little girl who discovers quilting at a quilt retreat. A fun book idea! 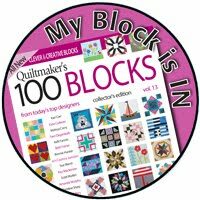 A great way to share quilting with the next generation. For just a $1 you can help this book get published. 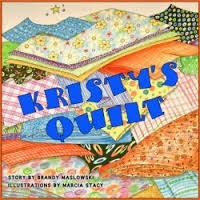 Click this link to see more details - blow a kiss to support Kristy's Quilt. 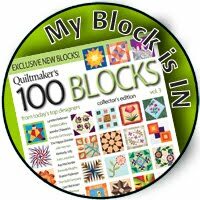 Here's the link to visit Brandy Lynn's blog - she's also the host of the Canadian Quilt Podcast. 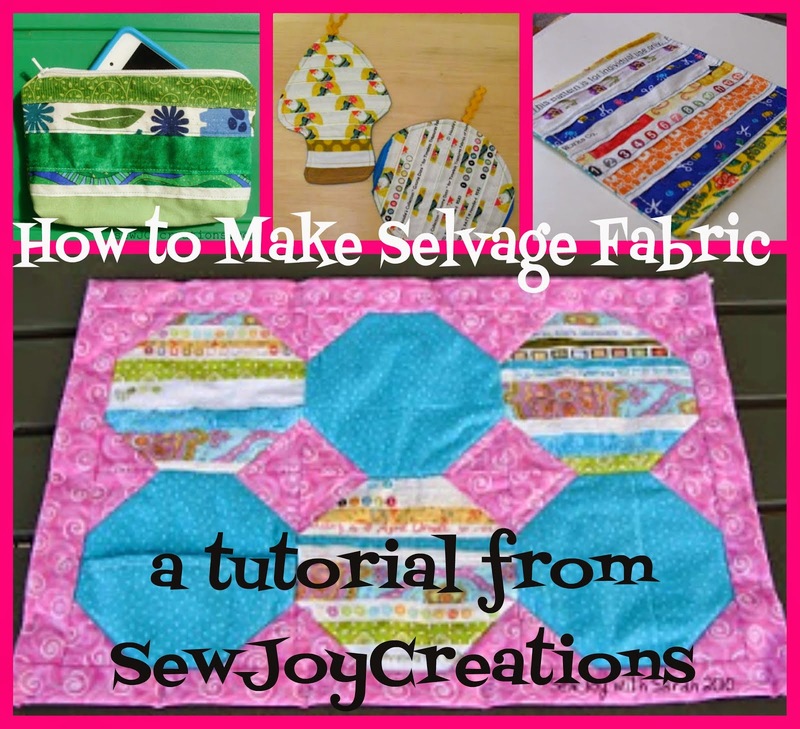 Brandy Lynn Maslowski's blog - Explore Fibre. So glad you got your own copy of the book. 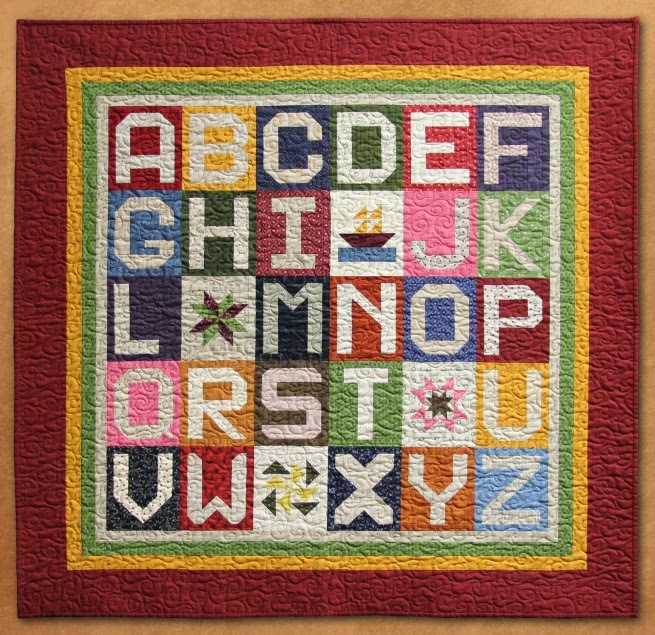 I love the alphabet quilt. I downloaded all the letters so I am readyto do something with them...eventually. Cute basket. Love the fabbies.